Before you can get up to de-escalate the conversation, you hear Jeff, a fellow second shift nurse come to Tangie’s defense. He tells everyone that she was in a great mood the last time they worked together and that when it comes to clinical skills – Tangie is the best nurse he has ever worked with. Jeff then shares that Tangie’s husband is his friend and that they’re having some issues at home. Tangie has three kids, one with special needs and her husband’s dad just moved in with them after the death of his wife of 45 years. Have you ever worked with someone who allowed the stress of his or her personal life issues to creep into the workplace? Have you ever dragged YOUR personal issues into work? Let’s take a deep dive into how stress can affect your behaviors at work using this all too familiar scenario. There are two kinds of stress – short-term and long-term. Short-term or acute stress happens from specific events or situations. Long-term stress, also called chronic, results from repeated exposure to conditions that cause your body to release stress hormones. Chronic stress can cause physical and emotional wear and tear over time. After hearing Jeff share a bit more about Tangie’s situation, it’s simple to see that she is suffering from both types of stress. At home, Tangie is dealing with personal issues that raise her baseline stress levels. Caring for a child who has special needs, navigating through problems in her marriage, and the recent living changes with her father-in-law have likely heightened her baseline stress level. And, let’s not forget the unpredictability of healthcare. Your stable patient extends his stroke as soon as you sit down to finally chart and your complex patient, the one you’ve been worried about all shift, is fine. 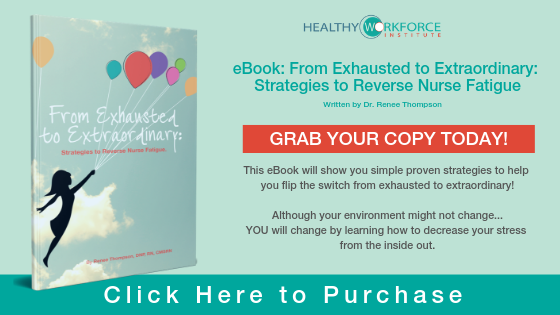 These common situations can cause someone whose personal life is calm to act out occasionally, just image if you started your shift with a boatload of existing stress! The idea that all employees should check their emotional baggage at the door is a good one, but not always practical. Even when everything is going according to plan at home, every single one of us can have a bad day that has us acting in ways that aren’t typical. It’s not to defend or justify, but rather to approach situations like these with understanding and compassion. Researchers have found a direct link between stress and behavioral effects. 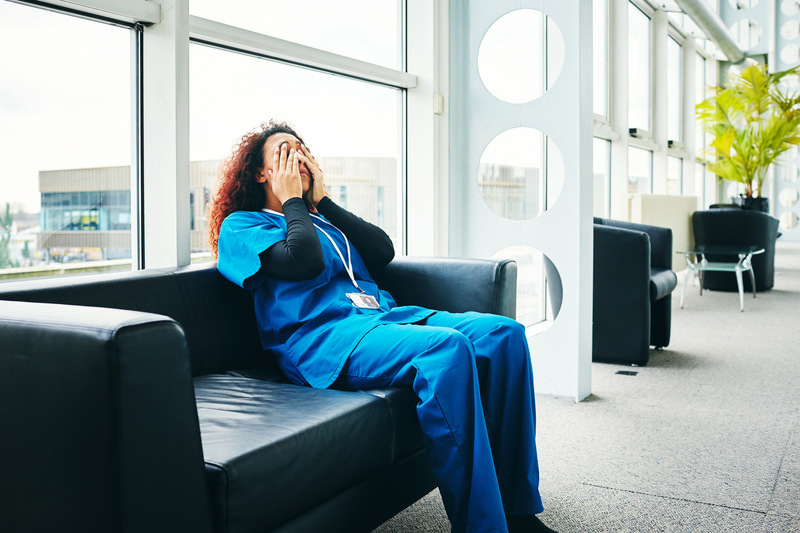 Stress can make even the best of nurses act out. When you struggle with high-stress situations, it’s common to project your stress onto others around you. Displacing your frustration reduces your internal stress levels, which make you feel better (for a little while). Everyone deals with stress a bit differently. Think about how you react when faced with a stressful situation. Do you need to talk to a trusted friend or prefer to be alone? Maybe you have the urge to clean or organize – this works for me. The next time you start feeling like you’re in a pressure cooker, conduct a quick inventory about how you’re feeling and what’s bothering you. Once you recognize your body’s reaction to stress, do something to redirect your frustration before you lash out at others. Let’s face it – we’ve all worked with someone in Tangie’s shoes. If you work with someone who seems to be lashing out more than usual, pay a little extra attention to how they respond to stress. This will help you notice the behavior before it’s coming and might even give you an opportunity to become a better coworker. Can you recognize the first twinge of stress in yourself? It might be an uneasy feeling that lies low in your belly or a knot in your shoulders. Whatever it is – when you start feeling it – you need to take a deep breath and then ask for some help. A simple intervention like getting help with your admission or the five patients requiring pain medications at the same time can go a long way in alleviating your stress response. Some people aren’t good at recognizing their own stress behaviors. In the situation above, it might take someone like Jeff to sit down and have an open, honest conversation with Tangie to let her know the behaviors she displays when faced with stress. He can offer to be her accountability partner and help redirect her before the stress response takes over. No one is perfect. So, if you’re having a bad day and lash out at others, be sure to circle back around and let them know you’re sorry. Even if it’s the next shift or the next week – it’s never too late to acknowledge your behaviors and apologize. Does stress actually lead to bullying? It’s possible. And I’m not suggesting that we ignore bad behavior just because we understand where it might be coming from. However, life is messy; it’s unpredictable and at times, stressful. Nobody is immune to an occasional imbalance of work-life balance (if there is such a thing). Instead of judging others, why not first extend a hefty dose of kindness and compassion their way? Wouldn’t you want your coworkers to do the same for you? I’d love to read your comments on the topic of stress leading to bad behavior. Do you have a coworker who lashes out at others when stressed? What are some strategies you’ve adopted? We’d love to hear from you!